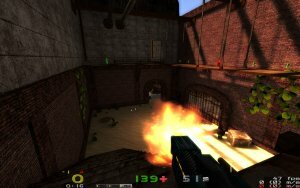 Nexuiz is a free, open-source First Person Shooter running on top of a heavily modified Quake engine. It's a fast-paced game, where players combat online in large-scale battles or pit against witty-tongued bots in a progressive singleplayer mode. I have tried Nexuiz last year and liked it quite a bit. 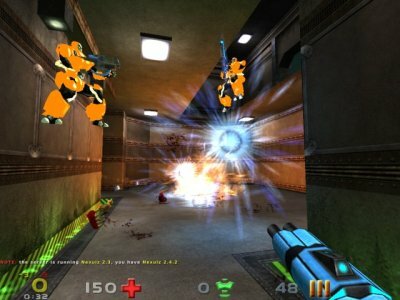 Well, I liked it so much that I featured it in my first article on Linux games, alongside Sauerbraten and OpenArena. The latest version 2.5.1 was released in May this year, bringing in a load of improvements, including much refined graphics effects, more realistic textures, shaders, and whatnot. Having just recently bought a new laptop with a powerful modern card and running an instance of Ubuntu specially dedicated for games on it, I though this was a great idea to show my new rig plus test the game. Nexuiz has grown fat in the last year. While version 2.4.2 took only about 400MBs, the new release is almost 700MB, the extra 300MB juiced with lots of eye candy and new maps. The game really looks amazing. The impression of how great it looks is not apparent the first time you try the game. 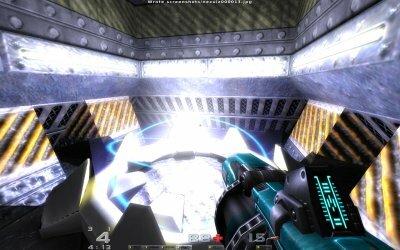 Nexuiz starts modestly, with graphics detail set to normal level. To see all the beauty, you need to power up the graphics. Luckily, my Nvidia 9600M GS with 512MB RAM let me do that. I selected the Ultimate setting and stepped into the fight. The quality of graphics is great. There's glow and blur and reflection in almost every detail, suffusing with depth of realism you do not expect from a free game a fraction of size of the typical modern monstrosity. It's really surprising. The attention to detail is phenomenal. Just for comparison, here's an old screenshot from version 2.4 (left) and one from the latest release (right). As you can clearly see, the older release looked and felt more cartoonish, less realistic. The 2.5.1 adds the color of life into the killing arena. What more, even at the highest level, the game runs quite smoothly. On older hardware, you can turn off some of the effects. I am thoroughly pleased with the changes. The improvements are grand, visible and positive. It's exciting to see such major changes take place in such a short span of time. You can extrapolate into the future to guess what kind of new stuff will feature in the future game releases. BTW, do not forget that Nexuiz runs natively on Linux! Everything is rendered in OpenGL. Which proves that you don't need DirectX to enjoy high-quality graphics. It's the matter of effort only. The technology is not the limitation. The setup is also very simple. Just unzip the downloaded archive and run the binary (executable) that matches your architecture, as I've shown in my Linux gaming how to mega thread. Like before, you have the choice between singleplayer and multiplayer. Singleplayer requires that you win the currently played map before the next level is unlocked. This introduces an element of challenge into the game, akin to most common, commercial FPS titles, so if you have a slow Internet connection or you're not keen on playing online, you still have lots of fun in store for you. The multiplayer has remained the pretty much the same. You login into a server and start killing people. When I was taking screenshots for this review, there were not that many servers online. 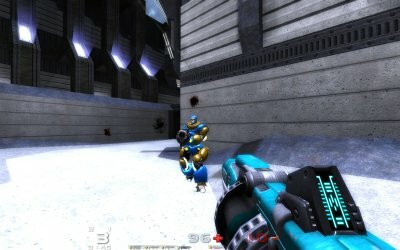 Some were filled with bots rather than human players, which kind of spoiled the experience a little. The most embarrassing this is, you start chatting to someone and it takes a few moments to realize that you're trying to talk to a machine. Bots tend to talk a lot and spam the console with pre-scripted remarks of all sorts. As a reasonable, polite human, you're tempted to engage in conversation. Bots aside, Nexuiz plays well. It's a brutally fast game. You have to be very quick to dodge the rockets and plasma beams. I spent most of my time respawning or watching other players perform wild stunts across the maps. You have thirteen weapon types to choose from, mostly invented, futuristic stuff, plus some good old machine guns and rocket launchers. Nexuiz offers 24 official maps, plus hundreds of community-developed ones. If you try to play on a server currently running a map that you don't have, it will be automatically downloaded, saving you the hassle of leaving the game and hunting for map files. Most maps also play music, usually techno-rock titles, adding to the chaotic, boiling atmosphere. 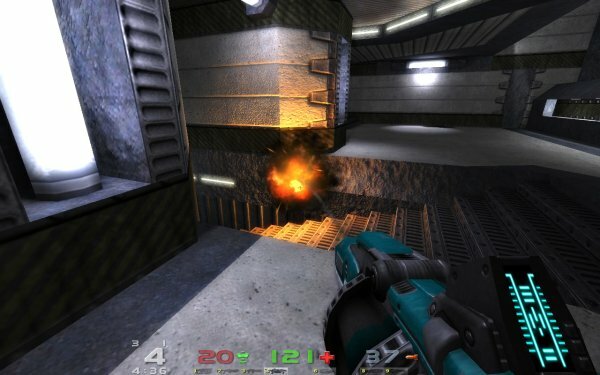 Since Nexuiz runs on a Quake-based engine, it uses the same .pk3 format for the maps, which makes modding quite easy. 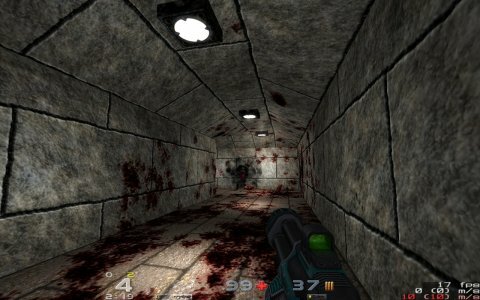 Converting maps from other Quake-based games like World of Padman or Urban Terror into Nexuiz is relatively easy. Game types include Free For All, Deathmatch, Team Deathmatch, Capture the Flag, and others, so you'll have a decent variety to choose from. 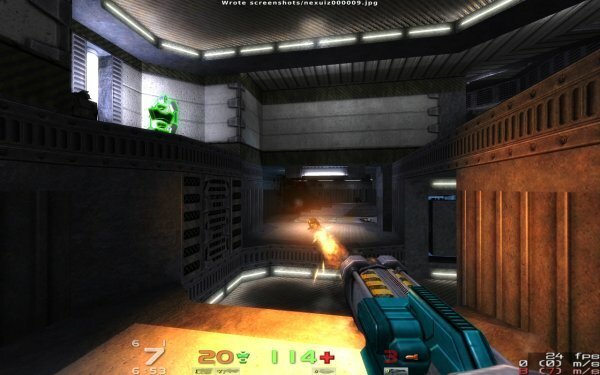 Nexuiz is a classic FPS, with good pace and excellent graphics. Nexuiz also allows you to record your own demos. But I have yet to figure out how to do that. 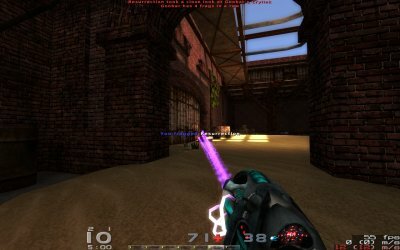 Nexuiz 2.5.1 is a tremendous improvement over old versions and a great standalone game overall. It has everything a young, violent mind needs - good, fast pace, mindless killing, lots of weapons, and graphics par excellence. Singleplayer has shaped up, offering new challenge to the players. The multiplayer mode is as fun as it has always been, quick and brutal. I'm very pleased with this release and looking forward to new ones! Nexuiz can be download directly from the website. You can also use the software repositories, but they might not always have the latest edition. Playdeb also allows one-click install on Ubuntu. Of course, Nexuiz is also available for Windows and Mac.